Ripple is one of the most popular Cryptocurrencies to trade. XRP was one of the most successful Cryptocurrency of 2017 with a 1,472% gain. 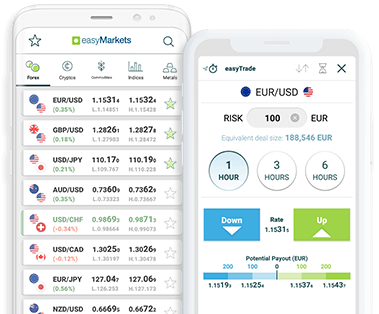 Join the Crypto-trading revolution with our award winning easyMarkets platform that allows you to trade on desktop, mobile or app, with full 24/5 support. Fixed spreads starting from 0.005 USD on XRP, negative balance protection, momentarily freeze Ripple’s price with Freeze Rate and access around the clock trading support by phone or live chat. You can trade Ripple during its most active times, around the clock, five days a week. Close positions on the weekend to better manage risk. New to cryptocurrencies? We’ve got you covered with an in-depth eBook and plenty of other trading education resources. Our Negative Balance Protection means you can never lose more than you invest when you trade Ripple CFDs at easyMarkets.